France enjoys one of the most modern, extensive, high-speed rail networks in the world. The renowned Train à Grande Vitesse (TGV) network will whisk you across the country in a just a few hours. And the Eurostar is heaven….central Paris to central London in a mere 2 hours 15 minutes. Here are some of my top tips for enjoying the trains in France. 1. First things first – If you’re heading out from Paris, know that there are 7 major train stations, plus the Charles de Gaulle airport station, each serving a different region, based on proximity. Know where you’re headed. Gare Montparnasse – Western and south-western France (southern Normandy, Brittany, Pays de la Loire, Tours by TGV, Poitou-Charentes, Aquitaine, Midi-Pyrénées) and north-western Spain. Charles de Gaulle – Gare Aeroport CDG – most convenient if you are flying in and making an immediate connection – you may not have to transfer to central Paris at all. Travel directly from the airport via high speed TGV to Avignon, Brussels, Lille, Lyon and Nice. Detailed practical information on each station can be found here at Rail Europe’s Paris station pages. 2. Travel like a local – Second class travel is just fine, and you’ll meet more Europeans that way. Who wants to be upfront with the business travelers? 3. Tickets – Don’t count on purchasing your ticket at the train station kiosks. Most accept only European credit cards that have a chip which U.S. issued cards don’t have. Purchase your France rail pass before you leave home, or purchase point to point tickets at the train station office. Check with a travel agent or Rail Europe for details on the many great options. France rail passes are offered for 3-9 days of travel. If you plan to travel only 1 or 2 days, you’ll want point-to-point tickets. Also, if you have a short-haul trip in mind, it may be more cost effective to purchase a point-to-point ticket for that leg, and save your Rail Pass day for a longer, more expensive journey. Click here for the SNCF website in English, which has point to point schedules and prices. 4. Reservations – Eurail and France pass travelers, be aware that the high speed TGV trains and night trains ALWAYS require advance reservations, payment of a nominal fee, and space may be capacity controlled. Reserve your train early to ensure your place, especially at peak travel times. When I arrive in one station, I usually visit the ticket window before I leave to make reservations for the next leg of the journey. You can also make reservations in advance from your travel agent from whom you purchased your pass, or directly on Rail Europe’s reservation page. 5. Dining – Most French trains of any distance have an informal dining car, with drinks and snacks, and some even offer kids meals in a cute plastic zip container. Convenience can be pricey though. Take a tip from the locals and pick up a fresh baguette, some local cheeses, fresh fruit and beverage of choice before you head to the station, and enjoy your picnic onboard. Many train stations also have surprisingly good patisseries – yum! – and sell sandwiches to go (emporter). 6. Travel light – Chances are you’ll be lifting all the bags onto and off of the train by yourself. Most trains have overhead shelves to store smaller items. Storage areas for larger bags are at the ends of the cars, where you may not be able to keep an eye on your belongings. If you’re concerned about theft, bring along a bicycle-type lock to secure bags to the storage shelves. 7. Be alert – Like any major gathering place in the world, train stations have their share of pickpockets. Carry cash, credit cards and passports in a money belt, and keep a watchful eye on your bags. 8. Right Place at the Right Time – Note the platform your train will be leaving from and arrive early. 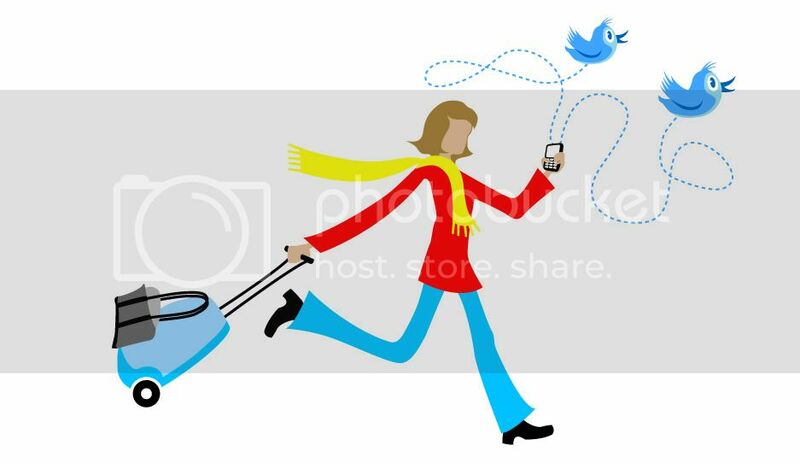 You may need to traverse up and down several flights of stairs to reach your platform, so again, travel light..bring only what you can comfortably carry yourself. Most platforms have an electronic (or manual) board noting the composition of the trains, i.e. first class and second class cars. Position yourself accordingly on the platform while you wait for the incoming train. Each car will be marked with a 1 or a 2, indicating whether it’s first or second class. Stations stops can be brief, and they don’t wait for you, so be ready to board. Likewise, be alert as to when it’s time to get off. Know the names of the stations that are several stops prior to your stop, so you can begin to collect your belongings and position yourself towards the exit doors. 9. Onboard bathrooms – Okay, maybe not the most glamorous, but serviceable. Most cannot be used while the train is in the station (I won’t go into detail here), and the water is usually non-potable. Traveling with your own hand sanitizer and small pack of tissues is always a good idea. 10. Eurostar – I saved the best for last. You really can’t beat the convenience and modern amenities. Easy to see why high speed Eurostar service under the Chunnel beats air travel – no checked bag fees, no long security wait lines, no 2 hour advance check in. It’s a breeze traveling from Paris’ Gare du Nord station to London’s bright new St. Pancras station. St. Pancras is almost a destination within itself with shops, restaurants, bars, and Europe’s longest champagne bar. For the best insider tips on traveling Eurostar, check out frequent Eurostar traveler’s Paris Perfect blog post for excellent suggestions, including which cars are most convenient. This entry was posted in France, Paris and tagged Eurostar, France, Gare de L'Est, Gare du Lyon, Gare du Nord, Paris, Rail Europe, SNCF, St. Pancras, TGV, Tres Grande Vitesse on October 24, 2009 by enchantedtraveler. The south of France is blessed with art treasures, and one of my favorites is the Matisse Museum in Nice. Initially Matisse painted traditional still-lifes and landscapes, and was greatly influenced by post-Impressionists Cezanne, Van Gogh, Gauguin, Signac. It is said that Matisse nearly went broke purchasing other painters’ works which he admired and hung in his home. Matisse’s career as an artist spanned an incredible 64 years, and this prolific master embraced a wide range of styles, including painting, sculpture, drawings, engravings, and his trademark decoupage cutouts, which he called “painting with scissors”. His painting styles include post-impressionism, pointillism, and the genre of Fauvism, of which he is the acknowledged master. Fauvism (wild, untamed) is known for vivid colors, flat lines, and an almost one dimensional quality. Around 1904, Matisse and Pablo Picasso were introduced to each other in the Paris salon of Gertrude Stein, and they began a life-long friendship and friendly rivalry. Matisse moved to Cimiez, a suburb of Nice, in 1917 and lived there until his death in 1954. At the age of 77, he began the most ambitious project of his life – which Matisse considers his masterpiece – the design of the Chapelle du Rosaire in the hillside village of Vence, France. Over a period of 4 years, Matisse designed the building, created the stained glass windows, painted its murals, designed the bronze crucifix, fashioned the Stations of the Cross, and even designed the priests’ vestments. By this point, suffering with cancer and confined to a wheelchair, Matisse painted three murals by use of a long stick strapped to his arm, with a paintbrush affixed to the end. Matisse also published several books, with collections of his works and paper cutouts, along with his notes. The museum has a wonderful gift shop, so be sure to stop in to purchase a few prints, calendars, or note cards. One final tip, be sure to check out the museum’s bathroom with the cool, automatic toilet seat that washes itself after each use. Okay, I don’t think Matisse invented this, but it has high entertainment value for the kids! Tel: 33- (0)4 93 81 08 08 is open 10:00 am – 6:00 pm every day except Tuesday, and is closed on Bank holidays and major holidays. Check the website or call in advance to be sure you will not be disappointed. Entrance is 4 Euro for adults, 2.50 Euro for students, and admission is free for children under 18. This entry was posted in cote d'azur, France, Nice and tagged Chapelle du Rosarie, Cimiez, Fauvism, France, Gertrude Stein, Matisse Chapel of the Rosary, Matisse Museum, Nice, Picasso on October 18, 2009 by enchantedtraveler.